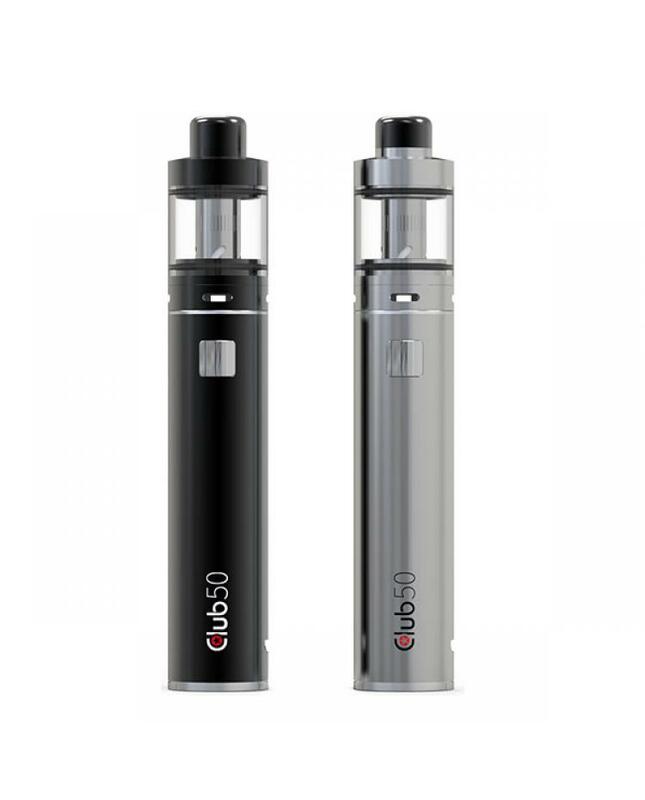 Newest smokjoy club 50 micro vape kit includes club 50 mod and air tank 22 tank, black and silver colors avaliable. 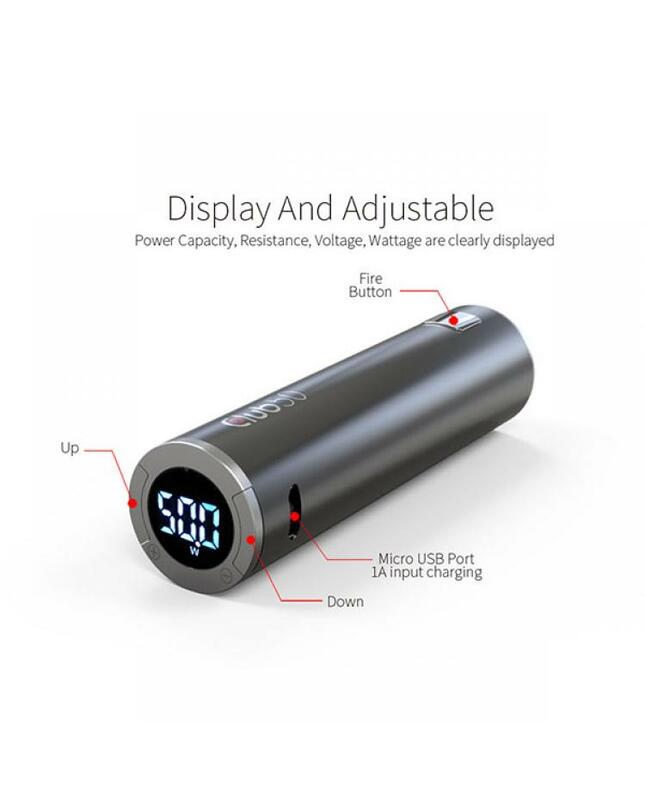 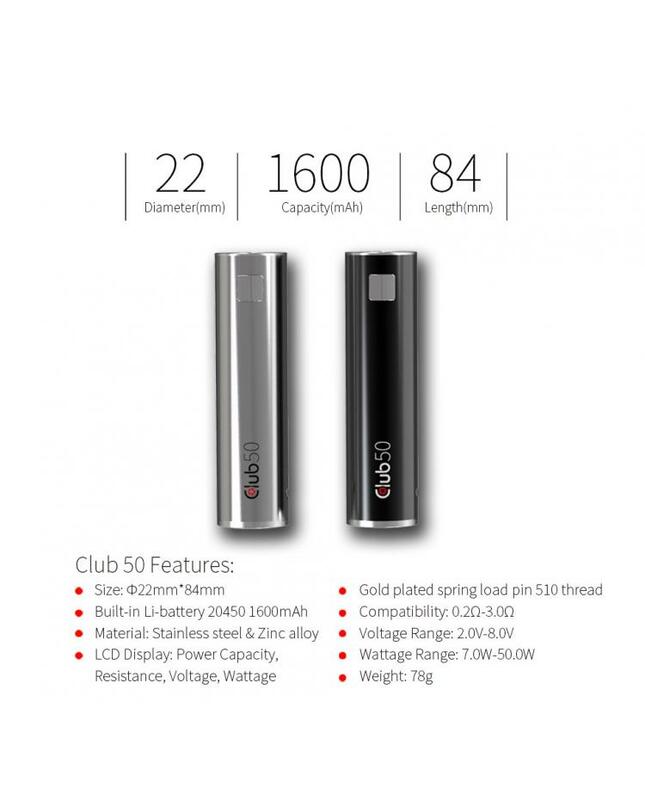 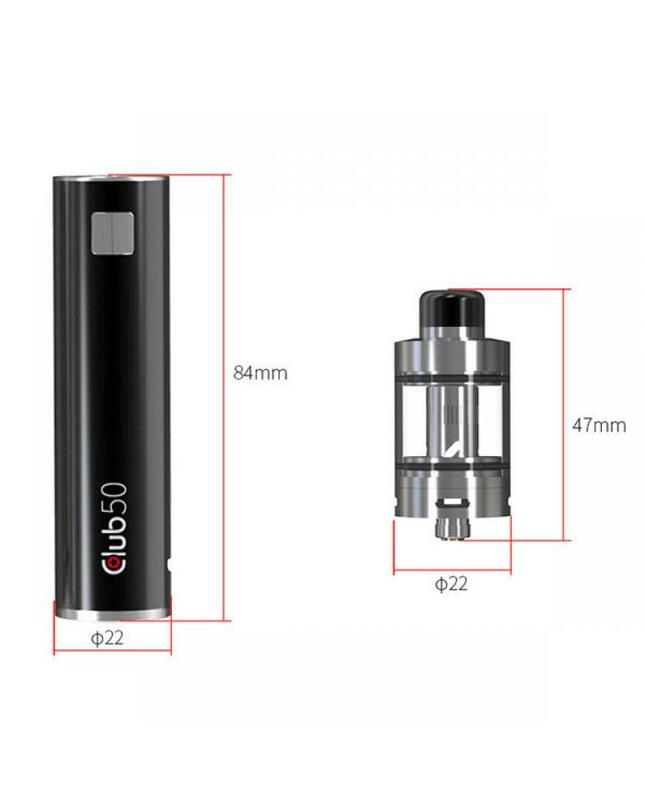 the club 50 mod built-in 1600mah battery, max output 50watts, support resistance as low as 0.2ohm, bottom with LCD display, will show power capacity, resistance, voltage, wattage. 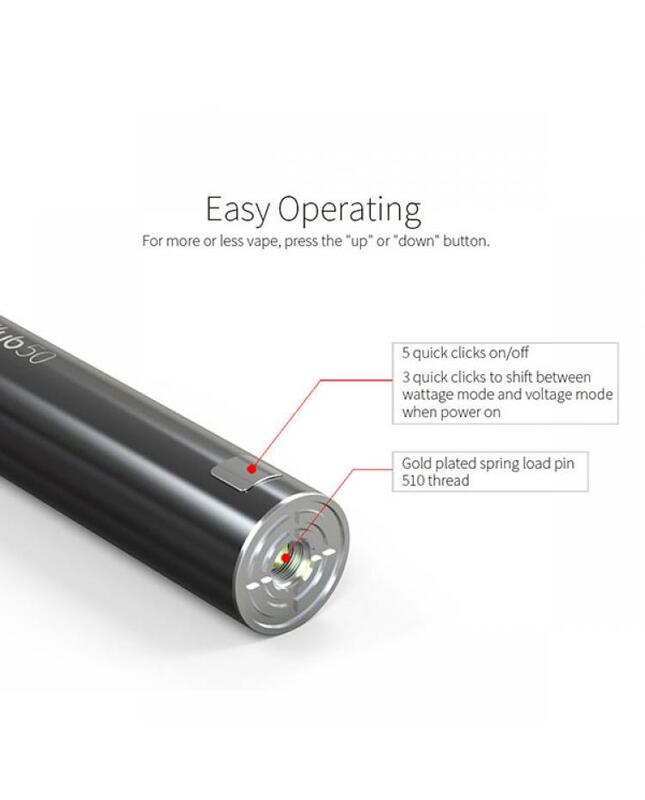 vapers can adjust the vape setting press the "up" or "down" buttons, 5 quick clicks to power on or power off, 3 quick clicks to shift between wattage mode and voltage mod. 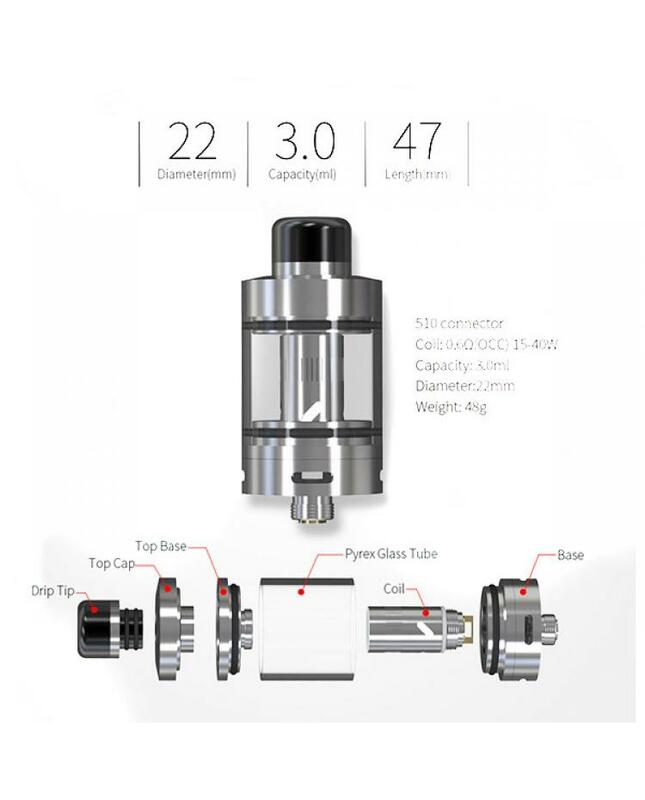 the air tank 22 can hold 3ml e juice, use kanthal a1 and organic cotton coils, will produce huge vape cloud and nice taste flavor.